Couples who dance to this music have a pattern of being in a game of Hide-n-Seek when they are struggling. One partner is pursing the relationship, while the other tends to withdraw. The pursuing partner may complain, beg, become flooded with emotion or other such attempts to draw their partner in. Meanwhile, the withdrawing partner may handle these moves by silence, posturing defensively, withholding affection or emotional comfort, or even leaving the scene physically. This kind of dance is the most common according to Dr. Johnson’s research. The Couple in this picture convey this little dance in their non-verbal behavior. The music of this pattern ends up looking like a cou ple doing a line dance. Both are moving to the same music, but they are dancing solo, not together. Both partners engage in some measure of avoidance by staying quiet, doing things independently without checking in or consulting with each other, letting helplessness or hopelessness permeate their mood such that they quickly give up even when they are engaged with each other. Some partners in this pattern may intensely want to engage but “freeze up” because they may be unsure of their words, or even be afraid of the vulnerability of opening up. 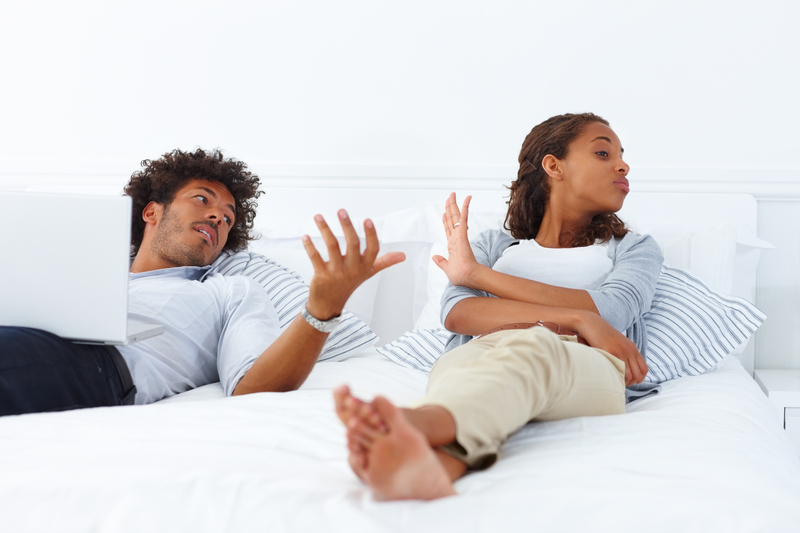 Couples who are stuck in this cycle can even spend excessive time apart, much to the injury of their closeness and connection. Even the best of couples can briefly or temporarily get stuck in these patterns, so don’t be alarmed if you’ve stumbled into these Tormented Tangos. There is hope for anyone who’s gotten stuck in these dynamics, like a train going down the tracks. Often the positive interactions & dynamics of early relationships can be reengaged to promote safety & intimacy. Like us on Facebook to keep up with upcoming blogs to explore how this happens.